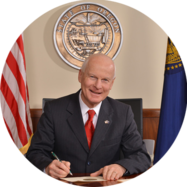 “The extent and breadth of former Governor Kitzhaber’s 10 ethics violations is unfortunately no surprise to me, as I was one of the first to bring many of these violations to light. I’m glad, however, that action is finally being taken to bring accountability for this malfeasance. This investigation and subsequent unanimous vote by the Oregon Ethics Commission earlier today clearly shows that the Governor and Cylvia Hayes accepted money from those desiring to purchase influence.